After a week of rumors on a possible release date for a Madden NFL 15 demo and then if one will even be available, it was confirmed today on Twitter by Community Manager Andrew Johnson that there will not be a demo for the game. With EA Access now available for all Xbox One users, those who wish to play Madden NFL 15 (PS4 & XB1) will need to sign up for the subscription service. EA Access will allow users to play the game five days early, however there has no word on if there will be any limits to the amount of time played in that period. 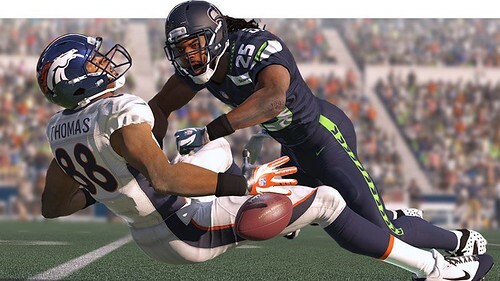 After a slow tease to start, EA SPORTS has released all player ratings for Madden NFL 15. Cover athlete Richard Sherman, Calvin Johnson, and JJ Watt are the highest rated players in the game, clocking in at 99 overall. The Seahawks are the highest rated team with an overall rating of 91. 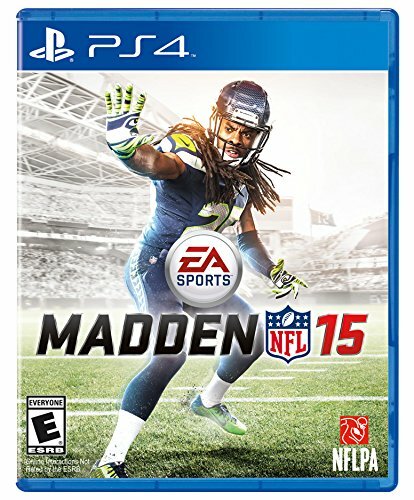 Announced Friday night on ESPN, Seattle Seahawks defensive back Richard Sherman has been voted by fans to grace the cover of Madden NFL 15 defeating Carolina Panthers QB Cam Newton. The company wanted a "next generation athlete" to be the M15 cover athlete. 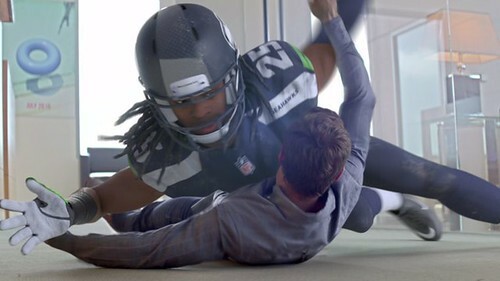 The selection of Sherman also coincides with the company's early Madden marketing efforts that have mentioned significant defensive gameplay improvements coming to the game. The selection of Sherman is double-sided. His NFC Championship Game post-game rant has helped him become one of the league's most talked about players as he has received extensive national coverage since the event (including joining Michelle Obama's "Let's Move" campaign), providing a huge platform to now discuss and promote Madden NFL 15. However, he is unafraid to be outspoken - potentially a good and bad thing - and has gone on the record to criticize the NFL in a hypothetical situation, claiming they would not issue a lifetime ban to a (perceived) racist owner as the NBA has with Donald Sterling. Hours after Colin Kaepernick signed a six-year, $110 million contract extension, EA SPORTS distributed the first Madden NFL 15 screenshot which featured the San Francisco quarterback. 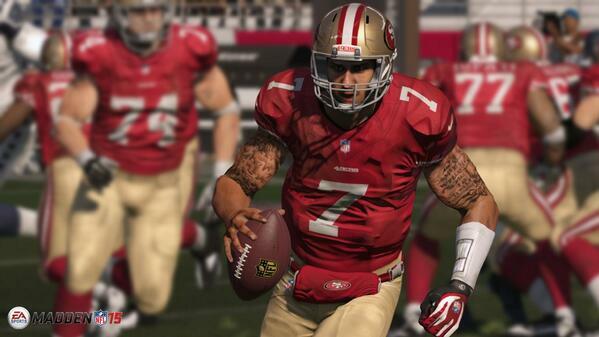 Most notable are his tattoos which indicates that Madden NFL 15 will feature them for the first time and also the scanned face of Kaepernick. Several media sites (Stealthy Box and Operation Sports) have indicated more in-game screens of players are in their possession but currently embargoed. One possible guess is that they may be released when the cover athlete is announced this weekend. "Madden Season" is upon us with the first game info and details being released by EA SPORTS and retailers. The initial Madden NFL 15 teaser trailer features Carolina Panthers LB Luke Kuechly and his transformation into his digital Madden self. With the tagline "See the transformation this June," speculation has been that the first major game reveals will come then with one of the major initial points being the improved face scanning technology. 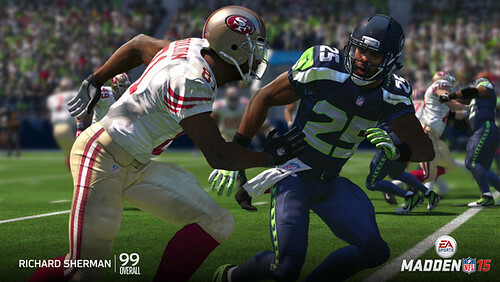 That same tech will be employed by both Madden NFL 15 (release date of August 26) and NBA Live 15 (available later this fall). The Madden NFL team is looking to fans to help re-design team logos and uniforms for relocated teams within Connected Franchise. The game currently features seventeen cities for re-location with three team options for each. Designs for new cities and teams will be accepted, however entrants are encouraged to use those currently in the game. 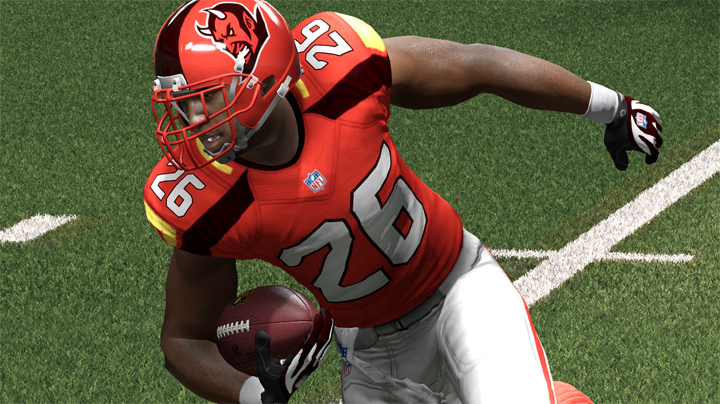 From Senior Designer Josh Looman: "The uniforms in our Relocation Mode looked good last year, but I thought we could take them to the next level. I wanted to make them feel a little more modern, a little more cutting-edge. Our whole goal in Madden is to create a product that looks like the NFL, that feels like the NFL. So we want something eye-catching, but not so crazy that it would look completely out of place in the NFL, or like something a high school team would wear."